Back to the Future Giveaway Hop! Win The Crossing by Mandy Hager! 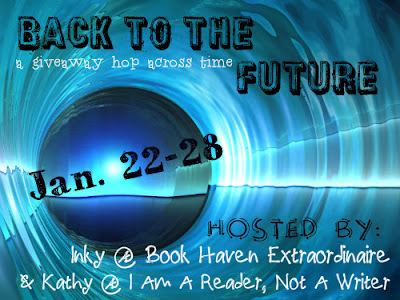 Welcome to my Back to the Future – A Giveaway Hop Across Time, hosted by I Am A Reader, Not A Writer and co-hosted by Book Haven Extraordinaire. This hop runs from January 22nd to 28th 2013, and you can win lots of new reads. Click here for a complete list of blogs participating in the hop. I am giving away a finished copy of Mandy Hager’s The Crossing. To enter, just fill out the widget below. Earn extra entries for following. US shipping addresses only, please. I’m not in the USA so am ineligible for this unfortunately, but as a fellow Kiwi to Mandy I can say, yeay, great read.